Ominous warnings fill our heads when we contemplate the details on a narrative card at the opening of “Everest,” and only some of them are subconscious ruses. The mere thought of Earth’s tallest peak inspires a sense of uneasy anticipation; while it has rested comfortably for millions of years atop the Tibetan plateau, man has inherited a long-standing fascination with its deadly charm. They see it as a monument of impossible endurance, a testing ground for an extreme layer of human limitations that have no certain answers. And while many have attempted to scale its dangerous slops in the last century, only a handful have ever made it all the way – peaking at the altitude of most aircraft, the very low supply of oxygen has diminished one’s odds for survival, and the upper echelons have become icy graveyards for those succumbing to the harsh cold. At some point those odds became more favorable when more skilled climbers mapped out the most navigable paths, but like an evolutionary predator the mountain had its own dark intentions, and would eventually offer new and fatal challenges for those partaking in the daunting ascent to the summit. That particular realization came to pass in the late spring of 1996, when a cluster of expeditions – both American and international – arrived at the base of Everest and set course to scale its steep slopes in the span of mere days. Optimism was high; more recent endeavors had transpired without any fatalities, and the careful considerations of party leaders meant that the journey could be a streamlined enterprise. What they hadn’t counted on, unfortunately, was the arrival of a menacing storm during the peak of their climb, especially one severe enough to completely decimate the close-knit nature of the adventurers as they struggled to find a way out. Dozens climbed those precipitous walls to stand at the roof of the world, but very few of them lived long enough to tell the tale. For them, the overpowering essence of nature was not generous enough to offer any respite to something as minute and inconsequential as a human face. Baltasar Kormakur’s “Everest” is a dramatization about that series of events, told in the breathtaking comfort of images so evocative and stirring that take on their own pulsating life in every single scene. For the cinematographer Salvatore Totino (“Cinderella Man,” “Frost/Nixon”), this material isn’t just a vessel to capture the snowy visage in elaborately staged shots or angles; it’s an opportunity to take in the immensity of the setting without an obligation to rush himself through quick cuts or momentary visual comfort. Like a child discovering his own shadow, the camera is paralyzed by the shock and awe of what it sees, content to hone in on the details as if baffled by the singularity of the features. Among a recent selection of movies that too capture the enormity of an outdoor environment – most notably “The Revenant” and “The Hateful Eight” – here is one of the most ambitious gazes into the snowy landscape of recent memory, and one that seems eager to expand our vision far beyond the reach of a mere atmosphere. The story isn’t nearly as stimulating. It opens, not surprisingly, with formula staples: an assemblage of eager climbers gather to discuss the impending visit they intend to make to Nepal, and leave behind loving relatives who wish them well in between swells of tears and cheeky grins. 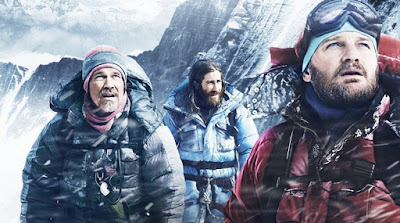 The setup scenes convey the traditional sentiments while forcing characters to interact in obligatory platitudes; they exchange smiles, hint at prior histories and even banter about the reasons that bring them to Everest. One of them, an experienced rock climber played by Jake Gyllenhaal, regards the rendezvous so passively that his first scene is a shirtless one, all while everyone around him is bundled up. And then there are a couple of notable faces that emerge among the dozens of participants: Beck (Josh Brolin), a Texan whose excitement for the adventure is circumvented by a sense of unease between he and his wife back home; Doug (John Hawkes), a prior participant whose last climb on Everest did not end in success; Rob (Jason Clarke), the guide of a specific climbing group who is being paid to ensure the survival of everyone in his party; and Helen (Emily Watson), a contact who remains behind at camp to be an asset of safety and information via a walkie talkie. 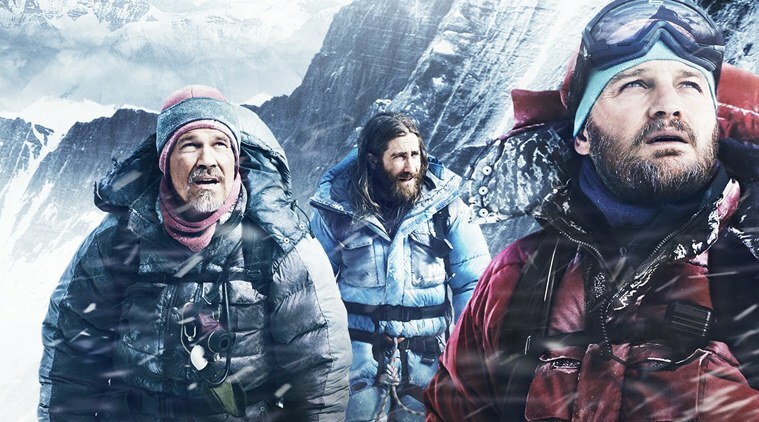 Their lengthy setup – which also features brief introductions of a slew of other characters, including some who have already scaled the other seven important peaks on Earth – eventually leads the audience to a muddled detail that suggests the endeavors of the climbers are destined to face unique challenges. Because traffic is particularly high this time of year, that also means many of them will be asked to climb on schedules. That in turn adds weight to the danger of the situation when base camp operators indicate a storm may be coming towards the mountain, potentially endangering their climbing schedule. When the movie pushes us down that inevitable road, a strange and lengthy series of climactic encounters ensue. Characters reach summit but are thrown off course by the turbulent winds and heavy snowfall. Avalanches displace some from their party members. Others wander away from their slack lines, or fall to their deaths. And in some instances, key characters get caught in a race against time as their oxygen supply is undermined by their inability to move. So harsh are the penetrating sensations of the cold that they threaten the existence of everyone trapped on the slopes, even those played by actors who are ordinarily mandated to survive such obvious calamity in the movies. Of more recent endeavors, the movie finds most of its commonality with “The Perfect Storm,” also based on the true story of individuals facing off against the impossible dangers of nature. 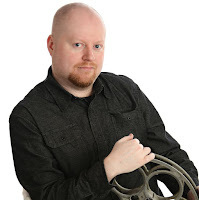 I did not think favorably of that picture – primarily because of how it wrapped a tragedy in the skin of a conventional blockbuster and then betrayed the audience with a downtrodden ending – but it had this much going for it: a certain level of human interest kept the emotional stakes raised. The problem with “Everest” is that such elements are stretched to minimal focus; the movie wants to place emphasis on too many characters for us to find a central sympathy with their plight, and loses track of the motivation of the potential. Is the screenplay penned by William Nicholson and Simon Beaufoy primarily interested in Rob, for instance, because he is awaiting the birth of a daughter back home, or is it a story of redemption for the Josh Brolin character who is seemingly estranged from his wife? Not enough exposition is allotted to decipher those goals, and over the course of a fragmented 121 minutes we find ourselves lost in just as much of a snowy fog as those of the actors, who wander in and out of the frame as if uncertain as to whether the story even requires them. Two rewarding goals would have been possible with this kind of material: we could have either accepted it as a sad but touching human story, or regarded it from a more morose distance as a parable of nature’s unflattering cruelty. While the former – the more achievable scenario – would require a rewrite more focused on particular players, the latter would necessitate a different director altogether, I suspect. There is an appreciation and even an underlying fear in Kormakur’s view of Everest, but not any sort of distance; he wants to understand it instead of accepting it as one of the great puzzles of our strange existence. In the elusive design of directors that have the chutzpah to devote themselves to the cause of visiting that cynical suggestion, Werner Herzog might have done wonders with such a challenge, especially if given the artistic freedom to narrow his focus down to a mere dance of wits between foolish faces and a stubborn landmark. Perhaps that would have violated the point of a straightforward retelling of these historical events, but would that have been so bad? History has a better place, perhaps, in documentaries. On this long and steep road, nature’s fearsome creation is destined to be more compelling than any figure scaling it.